What a wild winter we’ve been having in the North East. 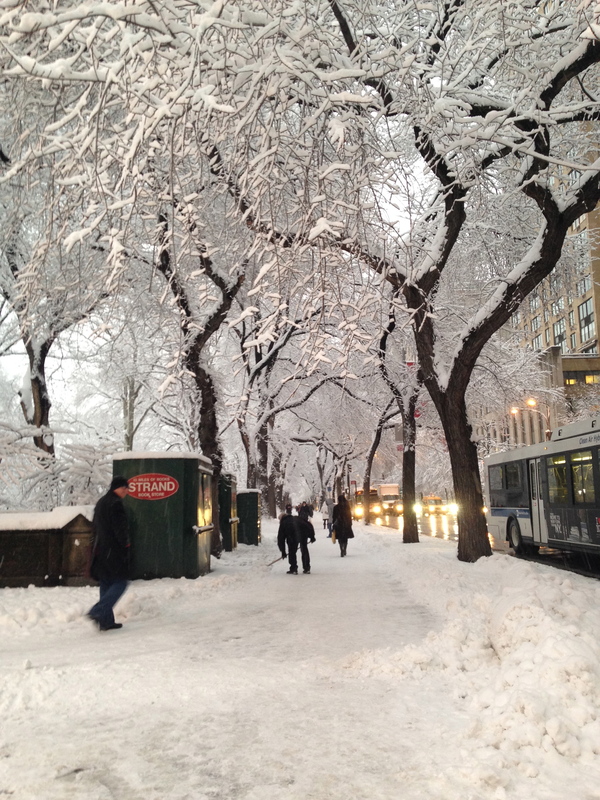 Lots of snow and cold temperatures, more so than any winter in recent memory. All this snow inspired me to create a little collection of knitting patterns based upon my favorite kind of winter day. Snowed In. I hope these sweet patterns will bring some cheer to your wintry snow days. Its not so terrible to be snowed in after all. 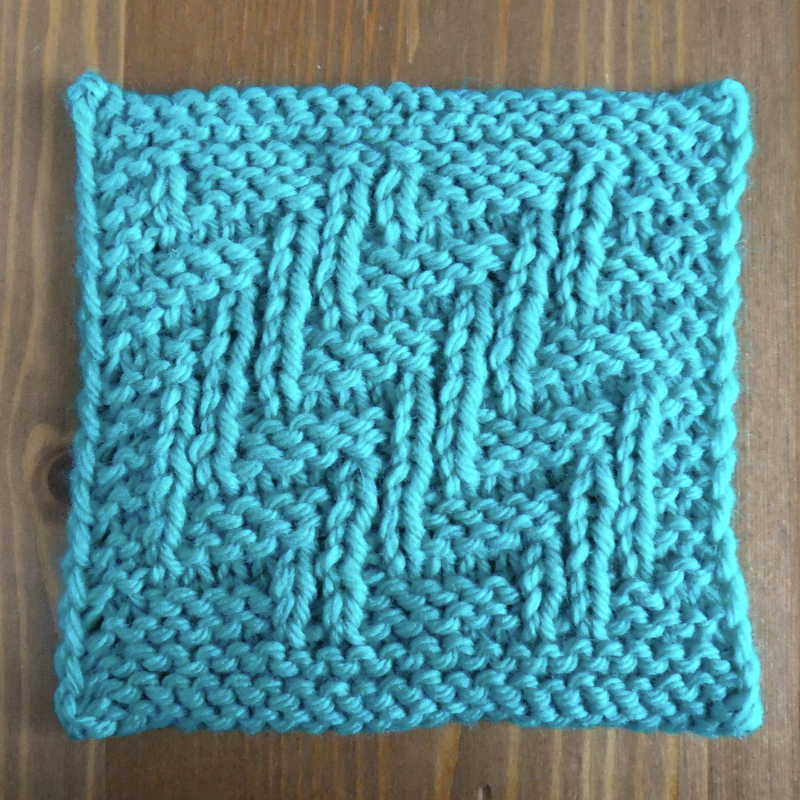 To celebrate the release of Snowed In, I’ll be giving away one pattern a day. 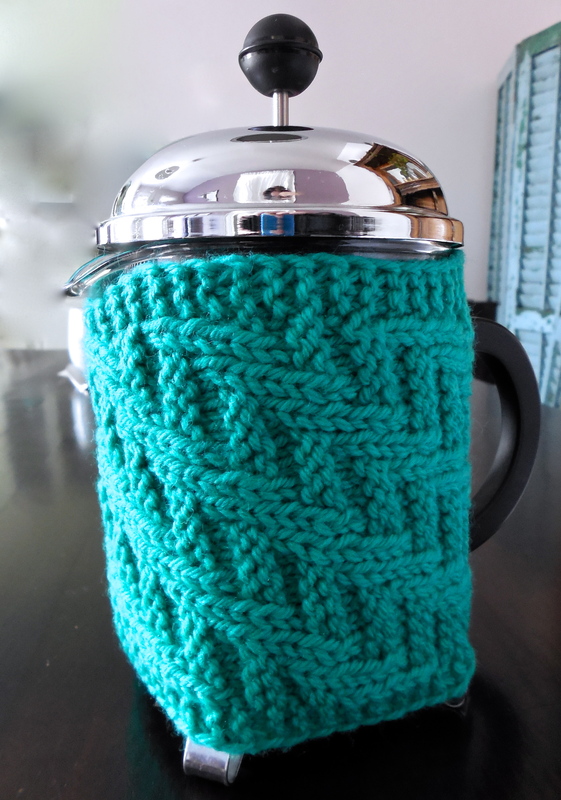 Today’s pattern Is French Press Cozy, leave a comment on this post telling me why you love a snow day to win! You have until noon tomorrow, and then we’re on to the next pattern! My perfect snow day has me snowed in, with a day off from work and nowhere to be except in my cozy house. The day ahead is filled with great movies, lots of knitting and scrumptious comfort food. First on my list would be a decadent brunch. 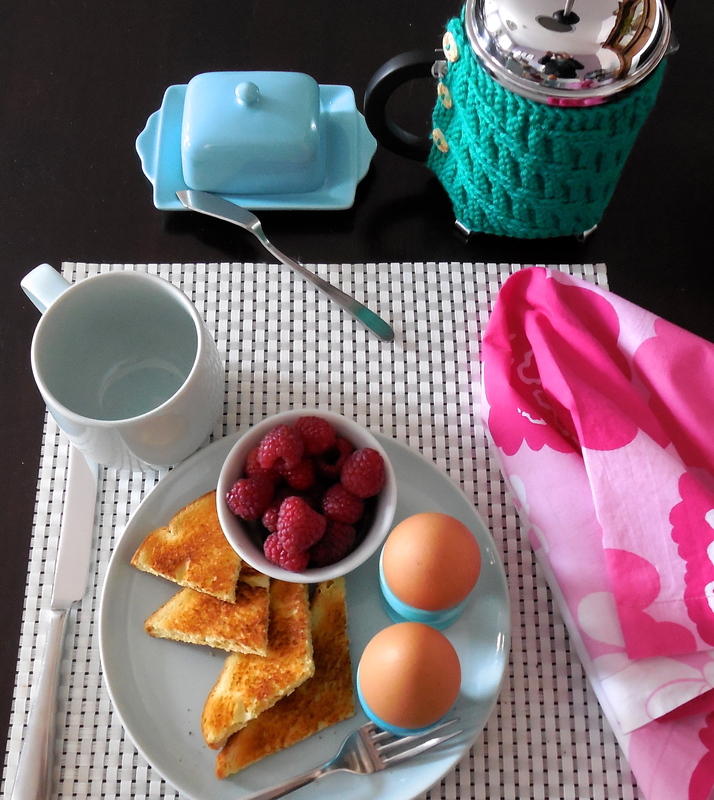 Soft boiled eggs, buttered toast and fruit, and a piping hot carafe of coffee brewed in my french press. It’s a sad fact that the glass carafe on these kind of presses lets your drink go cold rather quickly, but a little woolly sweater for your french press if just the ticket. 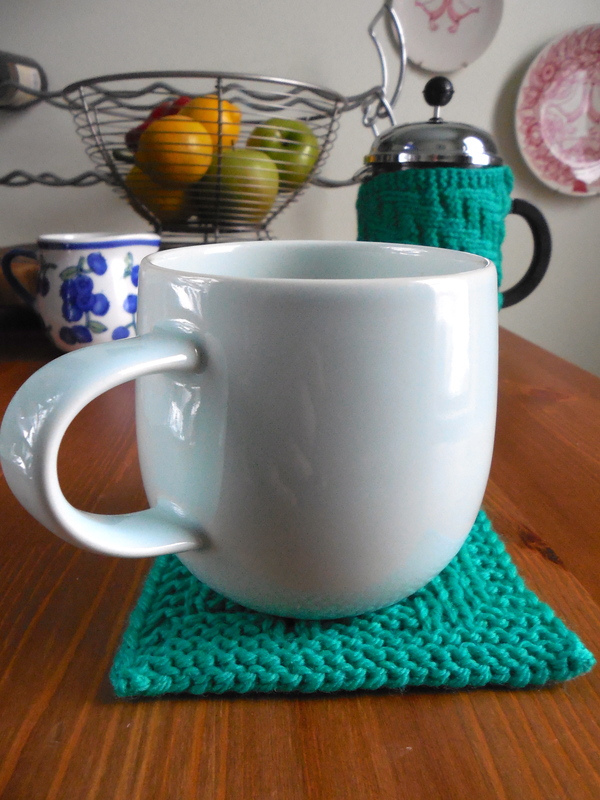 This French Press Cozy is the first pattern of this collection. 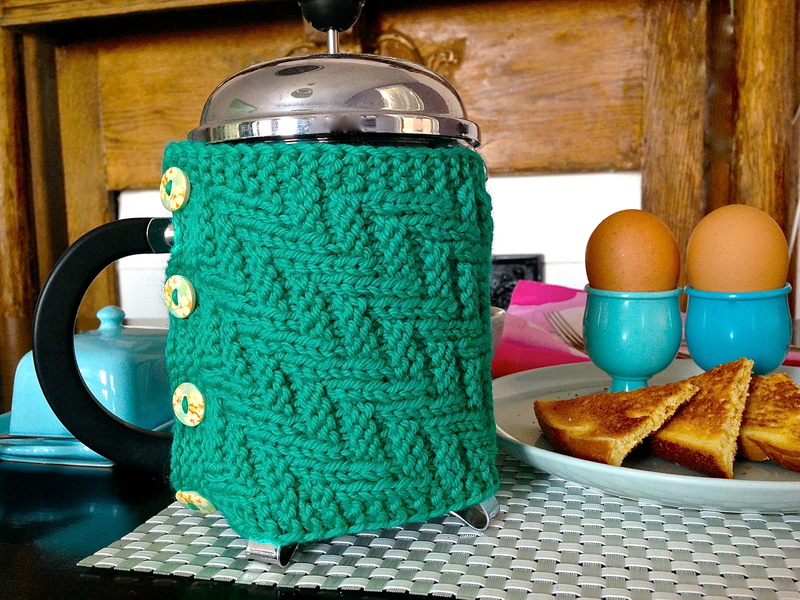 It will keep your coffee warm until the last drop is poured, and the cheerful color and pretty texture add to the charm of your brunch table. Four pretty buttons close up the cozy. Mine came from Melissa Jean but I don’t see them on her site currently. 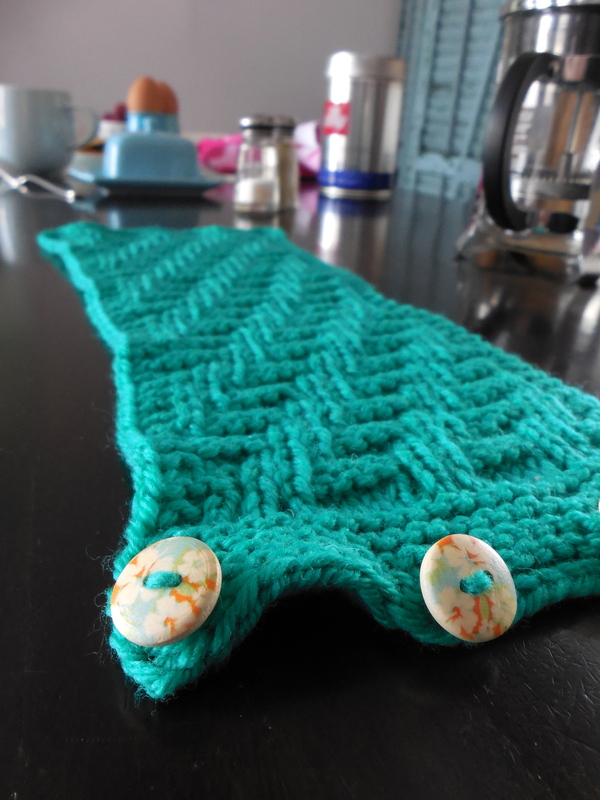 You may add or subtract the stitch repeat number from the cast on and still easily read the written directions. If you are using the chart, you can print two copies, fold one so that it repeats the correct number of stitches to see the chart for the new size. If your press is bigger around you also add extra garter stitch rows at the end, or use a second photocopy of the chart to increase the number of patterned rows until the fabric is long enough. You may also need to adjust the placement of the buttonhole yarn overs, depending on where your handle rests on your press. Directions include fully written directions as well as helpful charted instructions. Just wanted to say how much I enjoy your daily pictures, especially this one, this is the type of day I would love to be out and walking about, but as I am not out I hope to finish off a project that I am working on and then start to make this coffee coverup. Please keep up your wonderful pictures, it has been 52 years since Ihave been to N.Y. for our honeymoon, and hopefully I can return there again.